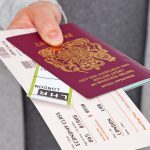 This entry was posted in Airlines and tagged airline, Airplane, flight, flights, tips on December 21, 2018 by Graham Greenaway. This entry was posted in Airlines, Travel and tagged airline, flight, flights, Flying, tips, travel tips on December 14, 2018 by Graham Greenaway. 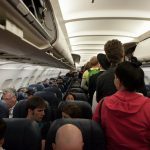 This entry was posted in Airlines, Airports, Travel, Travel Tips and tagged airline, Airline Baggage Allowance, Baggage Allowance, Flying, holiday, Luggage Allowance, Ryanair, travel, travel tips on November 1, 2018 by Liz Seddon. This entry was posted in Airlines, Airports, Travel, Travel Tips and tagged airline, Airline Baggage Allowance, Aurigny, Aurigny airlines, Aurigny Baggage Allowance, Baggage Allowance, Flying, holiday, Luggage Allowance, travel, travel tips on June 26, 2018 by Liz Seddon.